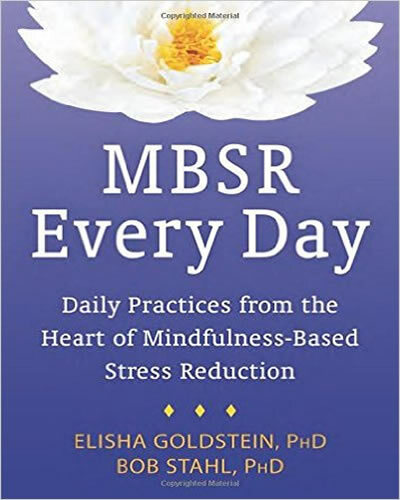 In the tradition of their highly successful A Mindfulness-Based Stress Reduction Workbook, Elisha Goldstein and Bob Stahl present a unique, accessible collection of daily practices to help readers stay grounded in the here and now. Stress is a part of daily life, but over time it can cause us to feel anxious, irritable, and overwhelmed. So how can you keep stress from getting the best of you and avoid total burnout? The key to maintaining balance in life is to respond to stress with genuine, nonjudgmental awareness of our bodies and minds. Drawing on the ancient wisdom of mindfulness, this practical guide will show you tons of little ways you can overcome stress every day – no matter what life throws your way. The mindfulness strategies in this book are inspired by mindfulness-based stress reduction (MBSR), a clinically proven program developed by Jon Kabat-Zinn. Research has shown that MBSR is effective in alleviating a number of health and mental health conditions, including stress, anxiety, panic, depression, chronic pain, and more. This important book works wonderfully on its own, or can be used in conjunction with A Mindfulness-Based Stress Reduction Workbook. If you are ready to permanently change the way you handle stress, gain powerful inspiration, and live more fully in the moment, this book is the perfect guide.